In addition, robo-advisors perform other managerial services that historically have fallen within the realm of human financial advisors. Low cost is a major benefit of robo-investors. You can expect to pay a fee of anywhere from 0.25 percent to 0.5 percent for investment management from robo-advisors compared with 1 percent to 2 percent for human advisors, according to a report in the Wall Street Journal. Choosing the best financial advisors for your wealth management is crucial. GOBankingRates reviewed the top 10 online wealth management services, based on criteria such as annual fees, services offered, investment required and more. Note that none of these robo-advisors offer 24/7 phone support. Read on to learn other details and the pros and cons of each robo-advisor so that you can choose the right one for your needs. 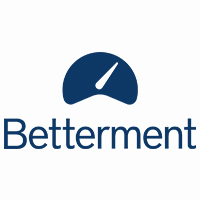 With more than 170,000 customers investing more than $4.8 billion, Betterment offers services such as retirement planning, IRAs, trusts and tax-loss harvesting. The company says its investors can expect 4.3 percent higher returns than a typical DIY investor. Betterment offers a varied fee structure. Betterment charges investors with accounts of less than $10,000 a fee of 0.35 percent if they are making automated deposits of at least $100 monthly. Investors with more than $10,000 are charged 0.25 percent per year until their accounts exceed $100,000, when they are charged 0.15 percent. You can get priced into a less-expensive tier when market gains boost your account total. On the other hand, you will not be penalized with higher fees if market losses cause your account balance to fall. Betterment does not charge transaction or trade fees. To get the lowest fee, you will have to invest more than $100,000. Even with a $500,000 portfolio, you will only have a single personal consultation with an advisor. 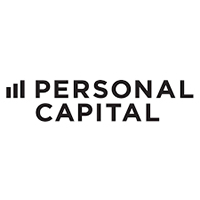 Personal Capital charges a fee based on the percentage of assets it manages in your account. The fee drops to 0.49 percent for those investing more than $10 million, so Personal Capital might appeal to those with a lot of money to invest. Fees drop gradually — from 0.89 percent on portfolios up to $1 million, down to 0.79 percent on portfolios up to $3 million, and so on. You may customize your investment strategy to meet certain goals such as college tuition or buying a home. If you need access to your cash, Personal Capital makes it available within one to three days. To get lower fees, you will have to invest at least $1 million. Personal Capital does not list a live chat option on its website. 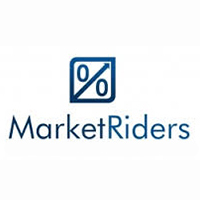 MarketRiders charges a $14.95 monthly flat fee for giving you investing advice. Essentially, you keep or choose any online investment firm for your portfolio and input your investments and trades into the MarketRiders system. Then, MarketRiders will monitor your investments and suggest when you should make a trade or change. MarketRiders might be a good service if you do not have the time or do not want the stress of watching over your portfolio on a daily basis. The site contends that on average, it only takes two hours a year to manage a portfolio. You keep control of your money and chose your own investment firm. This system might be a bit complicated for those searching for ultimate simplicity. 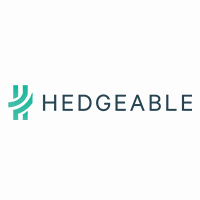 Hedgeable does not require you to invest a minimum amount to open an account. Hedgeable also offers good variety, with more than 20 account types. Hedgeable charges a relatively low, all-inclusive annual fee of 0.3 to 0.75 percent. Tax-loss harvesting is available for all accounts. Socially responsible investing also is available. The lowest fees are not as low as those of some other robo-advising companies. To get the lowest Hedgeable fees, you must invest $250,000 or more. Acorns is a unique robo-investment app that uses your spare change to build a portfolio. You can link as many debit or credit cards as you like. Then, for every purchase you make, Acorns rounds up to the nearest dollar and invests the change in exchange-traded funds and bonds. The fee is $1 per month, or 0.25 percent per year for accounts of $5,000 or more. Acorns is unlikely to make you rich overnight. But if you are a new investor and investing seems daunting and expensive, this might be a good way to dip your toe in the ETF waters. 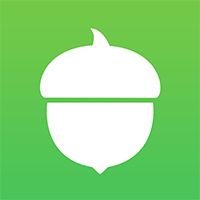 Acorns offers painless, uncomplicated investing. Chances are it will take a long time for your investment to grow into something substantial. Acorns probably is not the best choice for high-risk, high-reward investors. If you are looking for a free way to start investing, WiseBanyan might be a good fit. 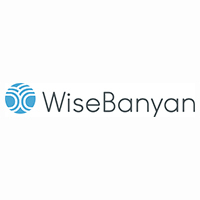 WiseBanyan doesn’t charge fees for signing up, buying funds or holding them. Instead, WiseBanyan makes its money through charging for services that clients opt into. Like other online investment sites, WiseBanyan now has apps for both Apple and Android devices. The service is free, unless you decide to add extras. Mobile apps are now available. More sophisticated investment strategies, such as tax-loss harvesting, will cost money. You have to join a waiting list before you are invited to sign up. 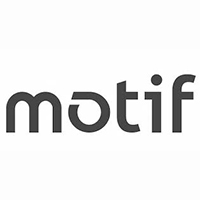 Motif might make sense if you are interested in actively trading individual stocks and other securities. You can choose from more than 150 in-house baskets of stocks and ETFs called “motifs,” and more than 180,000 other motifs created by users. You choose motifs that match your views on industry trends, trading strategies and personal values. Whether you buy an existing motif or build one yourself, the price is $9.95 per motif, for up to 30 different stocks. According to Forbes, you can choose from a wide range of motifs, from a traditional mix of ETFs to more obscure choices, such as one called the Caffeine Fix, which purchases coffee-related investments. Motif allows you to choose investments that match your beliefs or views. The fee base is easy to understand. Motif is for more sophisticated investors, since you might be picking stocks. If you choose many motifs, the fees can add up. Wealthfront does not charge an advisory fee on the first $10,000 of assets under its management. After that, Wealthfront charges a flat advisory fee of 0.25 percent, not including ETF fees. ETF fees average 0.12 percent. The investment minimum is $500. You can transfer IRAs to Wealthfront and the company handles trusts, Roth IRAs and more. Transferring money to your account is done through a linked bank account or an outside brokerage account. 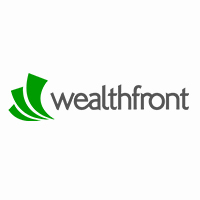 Wealthfront offers a simple, straightforward fee structure. The minimum requirement to invest is low. Accounts under $5,000 might deviate more from targets than usual because there is less cash to achieve adequate diversification, according to the company. Wealthfront does not support conversion of IRAs to Roth IRAs at this time. According to its website, FutureAdvisor “manages your existing IRA, Roth, taxable accounts and other investment accounts.” If your accounts are already with Fidelity or TD Ameritrade, the company describes itself as being “simply a management layer you add over your existing accounts.” If your accounts are elsewhere, the company does the paperwork to consolidate them at Fidelity or TD Ameritrade. The fee for retirement planning is 0.5 percent of annual investable assets. However, FutureAdvisor’s college planning feature is free. FutureAdvisor offers a free college planning feature. To use this service, you must consolidate investments into a Fidelity or TD Ameritrade account. 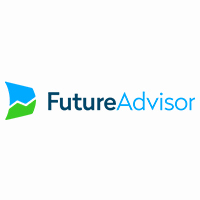 FutureAdvisor charges a slightly higher fee than other online firms. Related: Why Do Experts Advise People to Diversify Their Investments? 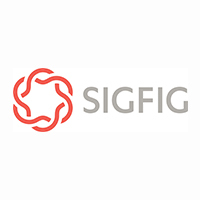 SigFig charges a relatively low fee of 0.25 percent annually after the first $10,000. You can link your checking or savings account for deposits or withdrawals, which are free. SigFig estimates that ETF fees will be between 0.07 and 0.15 percent. You can speak to a human advisor. SigFig does not charge fees for the first $10,000 in your account. A minimum of $2,000 is required to open an account. SigFig has a slightly higher fee structure than the lowest-cost robo-advisors.